How to create a wedding slideshow. Add music, if you don’t like the suggested one. Send your order and… get pleasure from viewing. 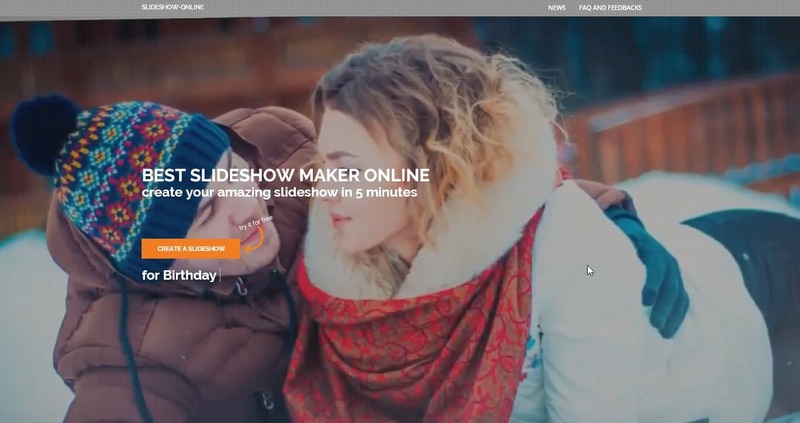 Next, choose a theme for your slideshow and upload photos. I just want to add that perfect video duration is approximately 3 minutes (call to mind music videos and songs). This fact is related to the concentration and the maximum interest of audience. In general, the aim is for 30 shots (more or less) – in my opinion, it is optimal. Of course, nothing prevents you create videos from 15 or 60 photos. As soon as all photos are uploaded, the simplest thing remains: you should add text and your e-mail.